Guide fee, guide's expenses, one lift ticket at Stevens Pass Ski Area. Transportation to/from the course area, personal ski equipment, food or lodging. 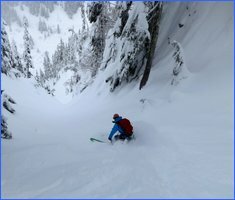 This is an comprehensive, 2-day women's backcountry ski course taught in the Stevens Pass Backcountry. Our women's backcountry ski camp is designed to complement an AIARE Level 1 Avalanche Course. After nearly a decade ski guiding locally and in the alps, Olivia decided it was time to address what she sees as shortage of education opportunities for women breaking into backcountry skiing. In many ski towns there is a significant population of women interested in ski touring but still not quite making it out there for various reasons. Common themes Olivia has heard among women in her community include fear of not skiing well enough, discomfort about avalanche hazards, concerns about decision making in their current ski group, and the simple need for a bit of professional instruction in specific skills related to ski touring. Key to the any backcountry ski experience is that it should be fun and well-organized. 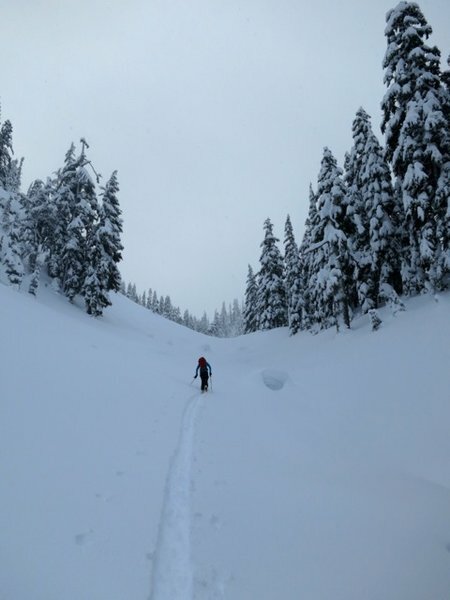 This course aims to give you the skill set you need start organizing your own tours or join an existing group for a day of backcountry skiing. By the end you will have an increased ability to evaluate the skill set of those you consider touring with. This can also be great training for something like our Haute Route Ski Tour. Your guides are constantly managing hazards related to the snowpack and discuss each decision with the group. This is not an avalanche course and is intended to complement skills covered there as we plan and undertake backcountry tours. 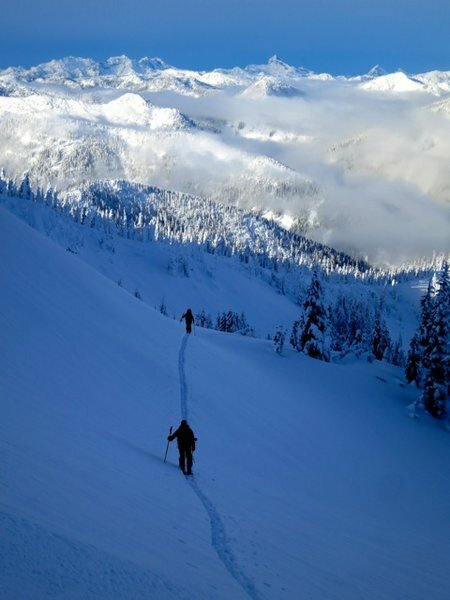 All ski tours take place at various locations near Stevens Pass and Leavenworth with a portion of the training taking place at the ski area at Stevens Pass. Possible ski venues include the back country surrounding Stevens Pass Ski area, various tours along US highway 2, and Blewett Pass. The focus is more on touring and less on lecture. Total course participants are limited to provide for a good experience. We will likely split into two touring groups if the trip fills to maximize enjoyment on the tour. Generally the two groups tour in the same area, but ski and climb separately to make things more enjoyable. Day 1: Meet at 8:00 am at Stevens Pass Ski area dressed for a day of ski touring. In advance of the trip our office will contact you to go over the gear you will need for the course and for this first day of skiing. We will gather in the lodge for a short orientation and then hit the slopes for a day that will begin in the ski area and then explore some of the excellent back country adjacent to Stevens Pass. This first day is an opportunity for the group to ski together and work on the variety of skills related to using touring gear. We will cover all basic binding and boot functions, discuss how to dress for uphill and downhill skiing, and provide pointers for skiing in variable conditions. In area skills will include making sure people are comfortable negotiating steeper terrain using skills like outward facing kick turns, utilizing the falling leaf, and applying more basic skills like the good old fashioned stem-christie turn when needed. Once in the side country we will go over the most efficient way to transition from skiing to skinning and then skinning to skiing downhill. We will perfect our various uphill kick-turns, and learn to skin up and ski down as a group to maximize safety and communication. We will briefly review beacon function and touch on avalanche rescue procedure. Day 2: Meet at 7:30 am for breakfast and review the weather and avalanche conditions. We will then drive to the trailhead for our ski tour and head into the backcountry. Today we will start to focus on moving efficiently and making smooth transitions so that we can cover more terrain and get in more skiing without feeling rushed. Our goal for the day will be to ski between 3500 and 4000 feet as we share some of our favorite powder stashes in the Central Cascades. While we will have touched on all of the basic skills on day 1, this day will give us lots of time to fine-tune those skills. Efficiency leads to speed, which in turns allows us to tackle bigger objectives at a relaxed pace. Participants should feel comfortable skiing advanced ski runs at the ski area. You do not need to be an overly aggressive skier, but you should feel comfortable skiing black runs in control and efficiently. We will cover skiing in variable conditions and work on our ski skills a lot, but you should have some previous experience skiing powder. A decent level of fitness is required for back country skiing. Tours and ski days are not intended to be gruelling, but do require you to have good aerobic fitness and the ability to be on your feet for 6-8 hours per day. If you have concerns about your ability or fitness the easiest thing to do is to contact us at 509-548-5823 and discuss this in advance of registration. In 2007 Olivia became the third woman in the US to gain her IFMGA credential when she passed her AMGA Ski Guide's Exam. Olivia has guided full-time since 2001 and has led successful expeditions to peaks such as Denali and Cho Oyu, the world's sixth highest mountain. She is currently a member of the AMGA's instructor team and an AIARE Level 2 Avalanche instructor. Now a mother of 2, Olivia manages the day to day operations of the Northwest Mountain School when not guiding. Olivia leads week long backcountry ski trips in Canada, France, Switzerland, Italy, Austria, as well as her day to day work in the Central and North Cascades. Olivia has no issues skiing with the "boys," but has come to realize that women are disproportionately represented in the backcountry. Her goal in these programs is to get women out touring in a manner that is confident, well-prepared, and educated about the risks involved. 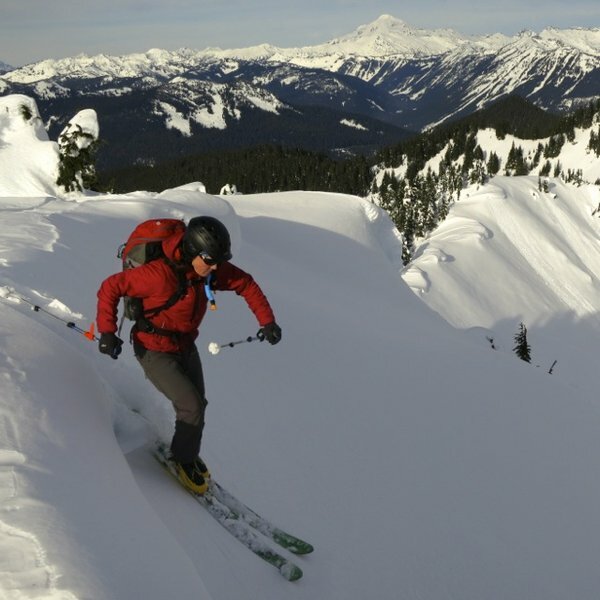 We do have a limited supply of rental equipment for our backcountry ski programs. All of our skis require Dynafit compatible AT ski boots. These are also called tech binding compatible ski boots. We rent skis with Dynafit bindings, DSP Sport beacons, Black Diamond shovels & probes, & Dynafit ski crampons. Rental gear is first-come, first-serve. We send rental forms out once you have registered for the course, but feel free to contact the office to check on availability if this is a concern. We do not rent boots so you must bring your own boots or rent them from someone who does. To register for this course you should complete our domestic climbing application and return it to the Northwest Mountain School office. You can secure your course with a credit card by phone, but we must then obtain your completed application within 7 days. Feel free to call us at 509-548-5823 to discuss the trip. More registration details here. 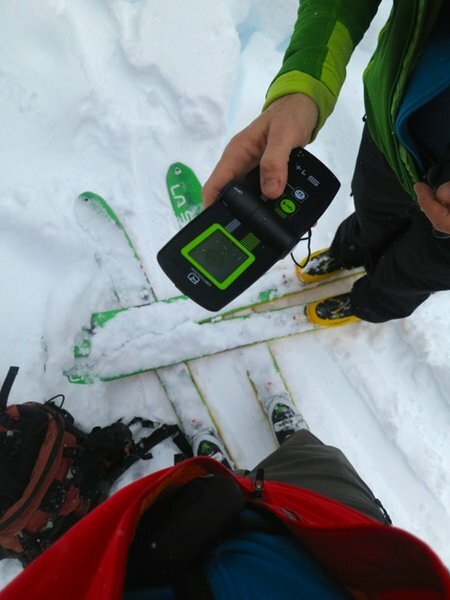 The education offered during our AIARE Level 1 Avalanche Courses works best when coupled with additional training in ski touring. Ideally participants will have completed their L1 course in advance of the touring course as the women's ski camp references some of the skills covered in the avalanche course that are not covered in depth on the touring course. This allows for more time touring and avoids replicating topics covered during your avalanche course. We offer these avalanche courses most weekends from early December through early March. Avalanche courses taken with another provider are also perfect assuming it was an AIARE Level 1. If you choose to take your avalanche course with us, we can offer a 10% discount on your avalanche course if also registered for our Women's Backcountry Ski Camp. If these dates do not work out for you and you have another group of women interested in a different format or different dates, we can likely accommodate you. The program works best with at least 4 participants. Contact the office at 509-548-5823 for details.